Employers, now more than ever, are using telephone interviews as a first point of contact for a number of reasons. 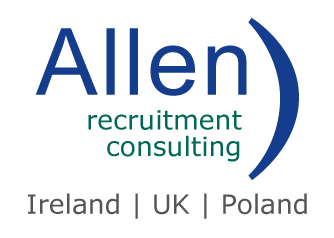 It’s something I find that a lot of the multinationals I work with are doing and as a result we here at Allen Recruitment Consulting have a few tips and tricks to help you through this high-adrenaline situation! So firstly to the reasons behind this type of interview. The hiring manager may be based in a different location to the candidate so in this case a telephone interview is the most practical first step. For Customer Servicing or Sales roles employers may want to test a candidate’s ability to communicate well over the phone. In cases where there is a high volume of candidates, companies may use telephone interviews as a pre-screening method in order to develop a shortlist for 1st round face to face interviews. So how do you make yourself stand out? A list with the names of the people with whom you’ll be speaking, questions you want to ask and three points you’d like to make during the interview. Smile – it comes through in your voice. Avoid “ah, er, hum”. This habit is especially noticeable on the telephone. This takes practice. So practice. Remember that your single objective at this point is to sell yourself and your skills; if you don’t do that, you may never get the face-to-face interview. Be aware that the caller can’t see you, can’t see your hand gestures, and can’t see you taking notes. It is important that you paint mental pictures when you describe your activities because the interviewer is also subject to the same sensory limitations you face – this is where the specific examples come in handy! Beware of over-familiarity. It is best to use formal business language unless the interviewer is adopting a more casual approach. Pace the call. Let the caller talk without interruptions. During the interview if you hear something that is attractive to you let the employer know this. If you need time to think, say so – as in radio, silence during a telephone conversation is dead air time – to that end, don’t ramble irrelevantly in order to fill the space either. The telephone interview is coming to an end when you are asked whether you have any questions. The telephone interview is not the place to discuss compensation in any form. It goes without saying but don’t smoke, eat or drink anything. It all telegraphs to your listener. Don’t forget to thank the interviewer for their time and interest. Above all make sure that you have battery and reception where you are. Nothing worse than losing the interview because of a low signal! Telephone interviews can be a 30 minute chat and they can be quite a pleasant experience too so try not to be too anxious. So whether you’re looking for more tips and tricks or looking for a new venture we’re always happy to chat to people over the phone or via email.